The Swiss National Science Foundation has recently released the results of a study that indicates that caffeine may be more harmful to young people than most of us suspected. The research team has uncovered evidence that a moderate amount of daily caffeine consumption slowed brain development in pubescent rats. There’s a reason the stereotype of teenagers sleeping until (at least) noon on weekends has gained traction: the teenage brain requires lots and lots of deep sleep for development. While their bodies are at rest, adolescents’ brains are hard at work, forming more connections between brain cells (synapses) than they ever have, or ever will again, in their lives. All this restructuring requires lots of high-quality rest, and researchers found that rats who consumed the caffeine equivalent of three or four rodent-sized cups of coffee weren't getting it. Their deep sleep time was reduced, and their brains matured more slowly compared to rats given only water to drink. Caffeinated rats displayed different behavior, too. The control group became more curious and investigative as they matured – par for the course for a young rat. But the group that had consumed caffeine was more timid and cautious. 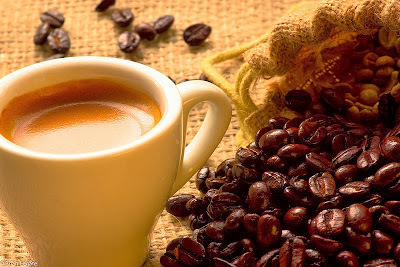 Especially troubling is the scientists’ observation that differences between the two groups persisted for many days after the administration of caffeine ended. Rats who had consumed caffeine continued to sleep for less time and less deeply even days after they’d been drinking only water, and were also less curious about their environments. This study comes at a time when young people are consuming caffeine at a higher rate than ever; according to the researchers, young people’s consumption has gone up 70% in the past 30 years. More research is needed, of course, but because there are quite a few parallels between the development of rat brains and human brains, the study raises some legitimate concerns. Just to be on the safe side, parents may wish to steer their children toward decaffeinated sodas (or, better yet, water or real fruit juice) and herbal or green teas, which tend to have less caffeine than black. For teenagers already hooked on coffee, try decaf or a “half-caf” instead. And remember that caffeine can be hidden in unexpected places, like chocolate, so a scoop of vanilla ice cream or sorbet, or a piece of fruit might be a better nighttime treat than a mug of hot chocolate or a chocolate chip cookie.